Making Boxed Macaroni in the Instant Pot—Easy Peasy..
Today’s Recipe is Macaroni and Cheese, from a Box. 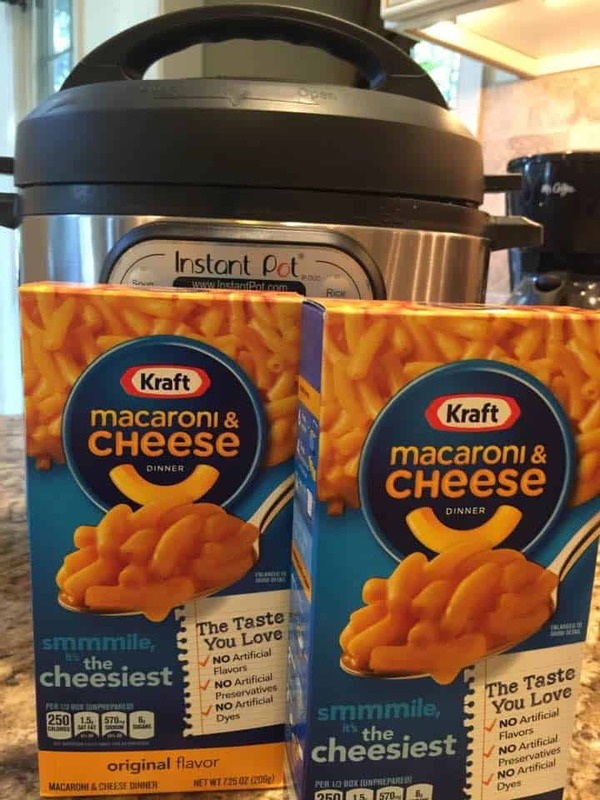 Making Boxed Macaroni in the Instant Pot---Easy Peasy..
Hi there! We have a large family and an 8 qt Instant Pot; how do I adjust the liquid amount if I make three or four boxes at a time? I know that with pasta, I need to stay under the halfway mark, but how much liquid should I put in there for more boxes? The key for pasta in the Instant Pot is to keep the pasta under water slightly. 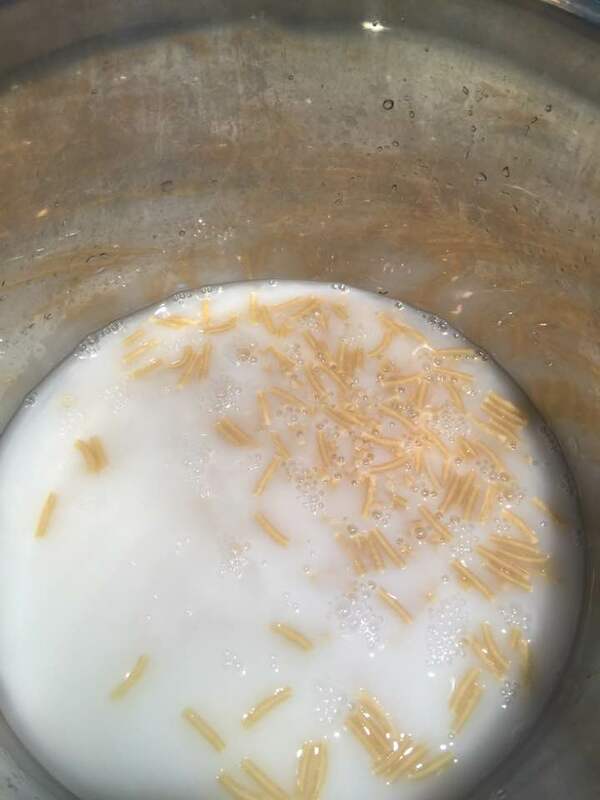 You don’t want to keep adding cups and cups, so look at the pasta line and then the water/other liquid should be right over the pasta. So, if you follow that rule. It will work perfectly. I tried this tonight. It was great not to have to drain the pasta. Mine got brown on the bottom, but would have been better cooked just a little more. 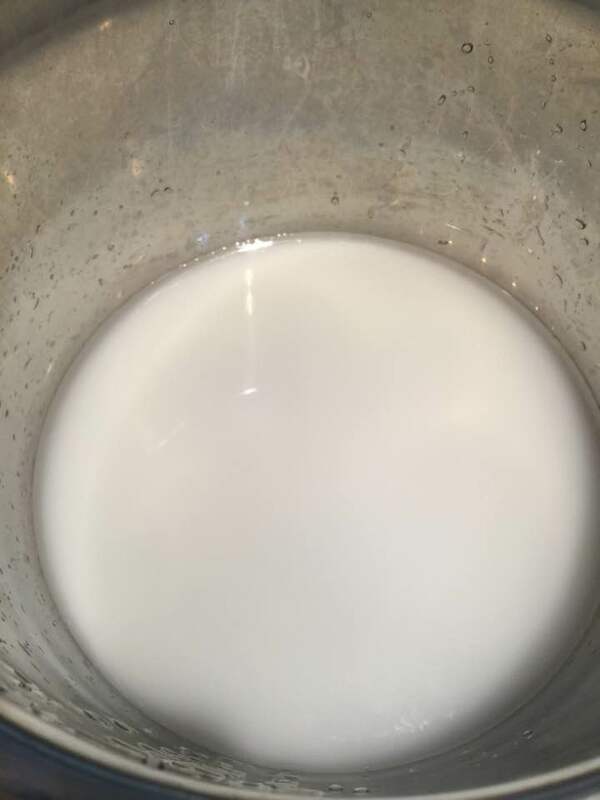 Do you think this could be made in a heat proof bowl in the instant pot to prevent browning on the bottom? Thank you! I made this tonight with Annie’s Mac & Cheese, which is what I always buy. I adjusted the water for the smaller box (theirs is only 6 oz) but still kept the butter and milk the same. 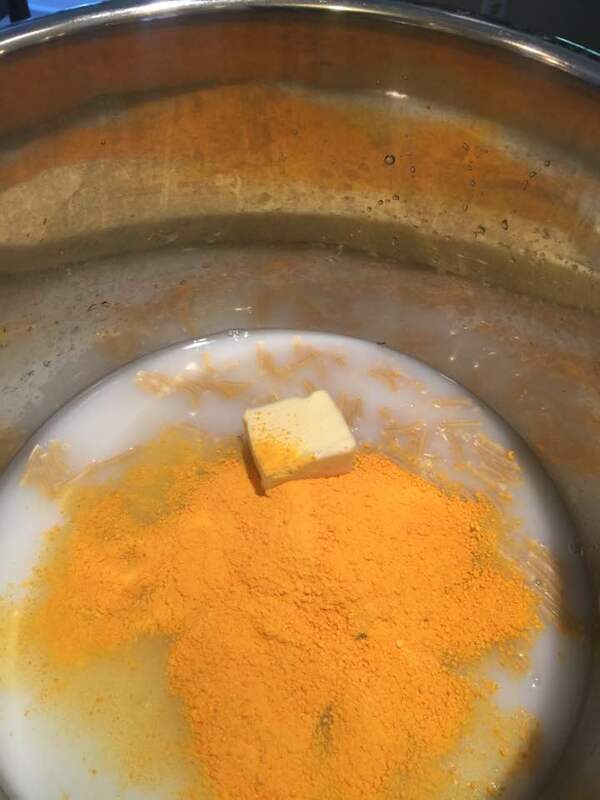 I whisked the powder into the liquids a bit before adding the butter and noodles, AND I made two boxes, so doubled everything. It came out amazing. I added some extra cheese like I always do, let it melt, mixed it in and served with a caesar salad. 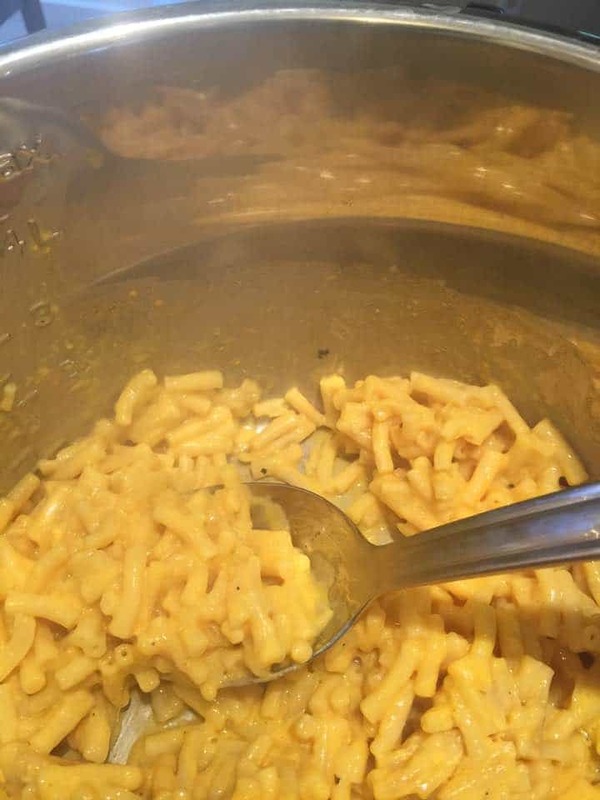 Thank you for posting this for people like me, who sometimes feel too tired to even make mac and cheese on the stove, heh. Perfect!! 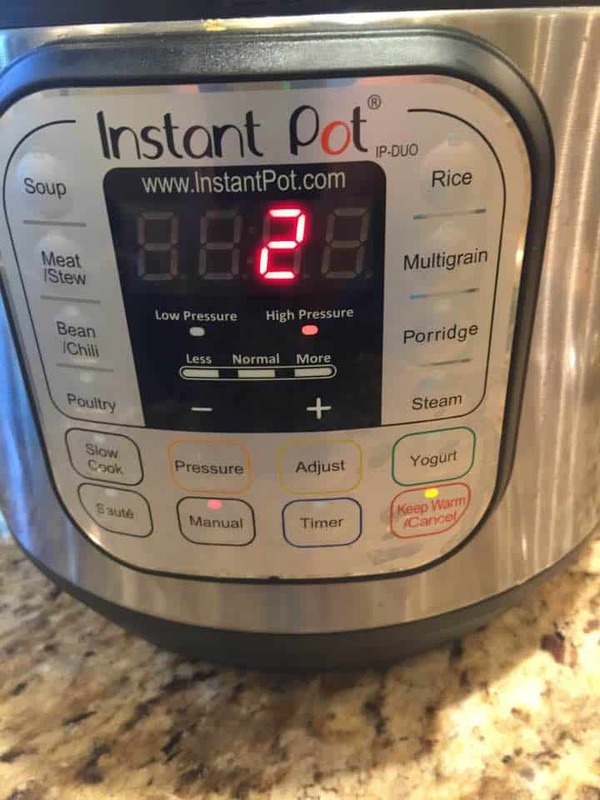 I have an 8 qt instant pot and I followed the directions as written. No burned mac and cheese or anything. I stirred it and let the cheese thicken a bit before serving. Thanks! !